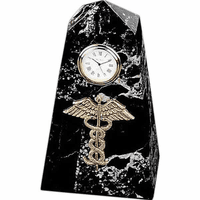 FEATURES/SPECS This personalized desktop clock and pen holder for doctors and nurses is made of genuine black and white marble with brass accents. 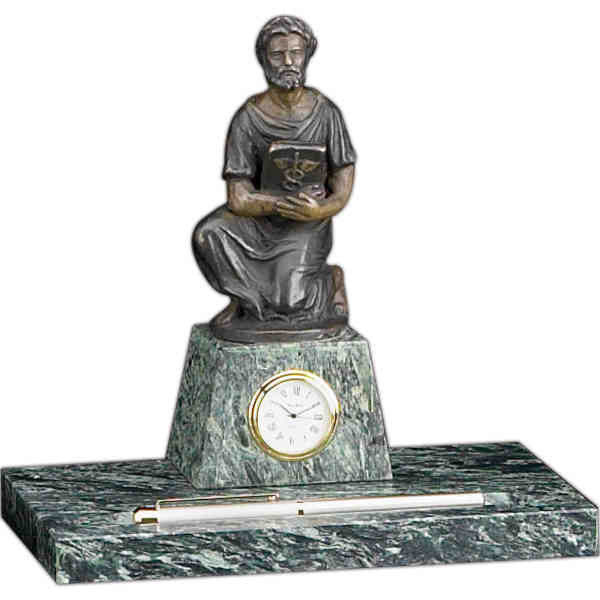 The stand features a classic Greek figurine holding a medical book with the Caduceus symbol. The quartz clock features gold accents. 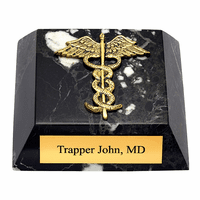 Add a personalized plate with the engraving of your choice free of charge. 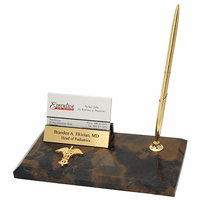 This personalized gift for medical professionals comes packaged in a gift box and ships out the day after you place your order. 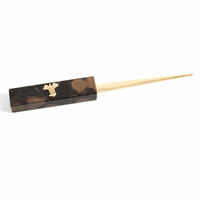 Dimensions: 8 1/4" x 8" x 5 1/2"